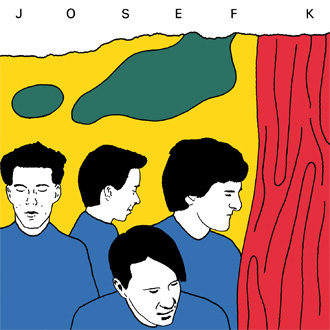 Crépuscule presents It's Kinda Funny by Josef K - the Sound of Young Scotland on 45, rounded up on 33. As well as their three legendary 45s on Postcard Records (Radio Drill Time, It's Kinda Funny and Chance Meeting), the album also includes both Crépuscule singles (Sorry For Laughing, Missionary) as well as the original Absolute version of Chance Meeting from 1979. B-side tracks are also included, plus a digital download. Cover art by Jean-François Octave. Inner bag with liner notes and archive photography by Simon Clegg. Outer sleeve printed on matt reverse board. Available as a vinyl album (with digital download) or digital copy (MP3). Free ICA Rock Week 1980 poster with mailorder copies of the vinyl while stocks last. To order please select correct shipping option and click on Add To Cart button, or else contact LDDC by email.